Let us discover some of the most famous and interesting sights in Abu Dhabi with a pleasant tour, see a reconstruction of a typical town before the oil discovery-driven modernisation and end the excursion with the brand new Louvre Abu Dhabi. We kick off our excursion with a sightseeing tour of Abu Dhabi that allows us to appreciate the many faces of this modern cosmopolitan city. We make a first stop for photos at the Sheikh Zayed Grand Mosque, one of the most imposing in the world and true oasis of peace characterised by eclectic mix of typical architectural elements from various regions in the Islamic world. We continue along Corniche, the enchanting coastal road separating the tall skyscrapers from the white beaches, and stop at the Emirates Palace Hotel to snap a few photos of this true icon of luxury - the perfect combination of Arab splendour and the latest technologies. We then reach the Heritage Village, which houses a small museum and reconstructed homes illustrating the day-to-day activities of the local community before oil was discovered at the end of the 1950s. 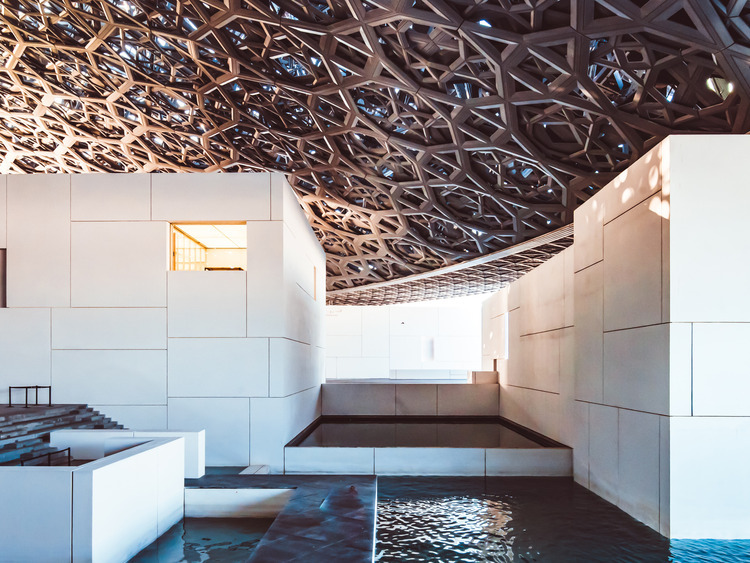 The last stop on our tour is Louvre Abu Dhabi, designed and built as a museum-city and a true masterpiece of contemporary architecture where we can admire artwork from all over the world.